The President accuses the media of making up stories just to gain ratings – basically creating fake news. The media accuses the President of using Twitter to gain attention on items that aren’t even newsworthy and therefore creating his own fake news. It doesn’t matter what side of the political aisle you fall on, there is fake news out there. And I’m not talking about the fake news created by the media or the President. I am talking about the fake news created by the devil. He puts lies in our head that we start to believe. He can twist and turn something good into something bad; something simple into something complicated; something imaginary into something real. He is the father of fake news! And we cannot let him win any battle of this kind. Don’t believe his fake news. Jesus brings good news. 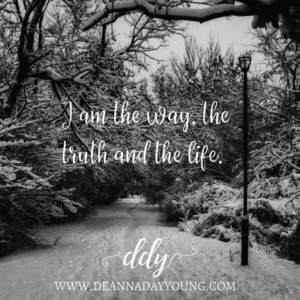 He is the way, the truth and the life (John 14:6). Put your trust in the Good News and you will defeat fake news every time! This entry was posted in devotional, inspirational, motivational, spiritual on December 14, 2017 by Deanna Young.